We are cabinet and cabinetry professionals servicing the Skowhegan area. We provide a full line of architectural woodworking products such as custom doors, windows, staircases, wainscoting, mantles etc. Give us a call! Located in Skowhegan Maine, Mid Maine Furniture & Cabinetry is owned and operated by Larry Heller and is proudly filling customers orders for heirloom quality furniture and custom kitchen cabinets. Every piece is hand made with the care and precision only found in small shops. Each customer is worked with closely to make certain every aspect of your piece of furniture or cabinets is designed and built to your satisfaction. If you have been searching for a source of high quality custom woodwork in order to have a piece of furniture or kitchen cabinets built with your personal preferences in mind then welcome to Mid Maine Furniture & Cabinetry. Here you can acquire custom made furniture, whether it is a hutch, computer desk, entertainment center, gun cabinet, armoire, or any other piece of high quality interior furniture, your satisfaction is assured at Mid Maine Furniture & Cabinetry. If you have a picture or can draw a sketch of the article of furniture you would like built, it can become a reality using top quality materials and sound joinery. There is also a large assortment of furniture designs to choose from and relevant materials can be e-mailed to you for your review. Custom kitchen cabinets are made especially for the individual kitchen and can include any number of options. 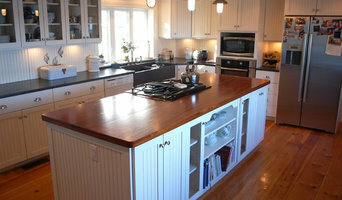 Adding cabinets, such as an island, can often be done to match your existing cabinets. If you would like kitchen cabinets built with all the features you want from only the best materials, Mid Maine Furniture is the place to go. 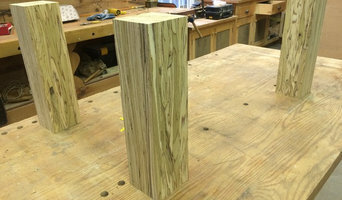 Please browse this site to see some examples of the custom woodwork that has made customers happy. At Designed Living, working one on one with our clients to design, build and install cabinetry for their living space is our passion. Our Kitchen Showroom and Home Center is a perfect environment to coordinate choices for cabinetry, counter tops, flooring and lighting with beautiful displays and life sized kitchens. Call for an appointment or stop in today to make your dream project a reality!! Why should I hire a Moscow, ME cabinet maker? Cabinet makers are skilled craftsmen who can design, make, rework and repair cabinets and cupboards. They can create bespoke storage or kitchen units for your home that meet your needs and fit with your interiors. They can also advise you on materials and cabinetry styles if you’re not completely sure on the design yet. With the right bespoke cabinet makers in Moscow, ME, no cabinetry job is too difficult, so even if you have a tricky corner space that you want to utilise, a Moscow, ME cabinet maker can create a cupboard to your specifications. Bespoke cabinet makers are more than just bathroom or kitchen cabinet manufacturers and they can be commissioned to create storage cabinetry around the home. Bespoke TV cabinets are in popular demand due to the variations of TVs, consoles, digital TV boxes, DVD players and other items that we want to keep near to our televisions. Skilled cabinet makers in Moscow, ME can create a one-of-a-kind TV cabinet or media centre to house all your entertainment goodies. If you already have cabinets or cupboards that you’d like to keep, but they’re just in dire need of a facelift, then bespoke cabinet makers may be able to help, too. You may wish to replace kitchen cabinet doors, give your cupboards a new colour, add decorative elements or use a special finish; whatever the cabinetry task, ask cabinet makers in Moscow, ME if they can help you. If you need the help of a cabinetry professional when renovating a home, make sure they are happy to work with any other professionals working on the project. Here are some related professionals and vendors to complement the work of cabinet makers: Kitchen & Bathroom Designers, Kitchen & Bathroom Fitters, Interior Designers, Home Storage Designers & Professional Organisers, Carpenters & Joiners. How long have you been cabinet makers in Moscow, ME? Find a cabinet maker on Houzz. Narrow your search in the Professionals section of the website to Moscow, ME bespoke cabinet makers and cabinetry. 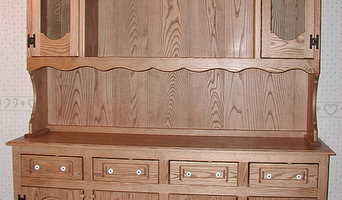 You may also look through Moscow, ME photos to find examples of cabinets that you like, then contact the cabinet makers in Moscow, ME who worked on them.